Everything You Need to Create Your Stunning Website. According to Wix, over 100,000,000 customers from 180 countries found these words to be true. 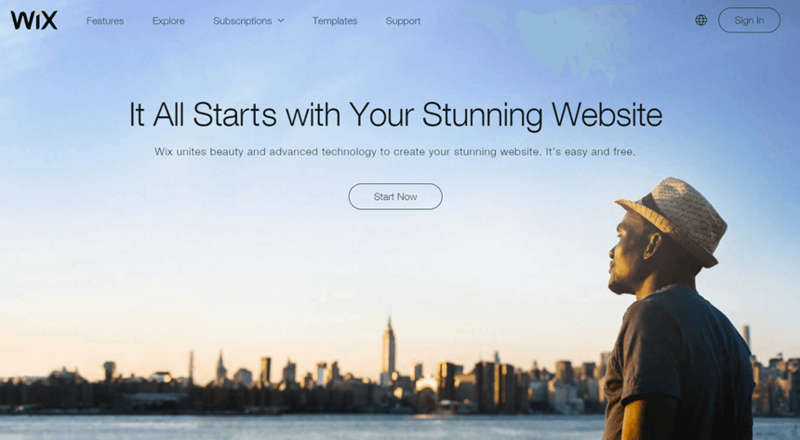 As one of the best drag-and-drop website builders, it works great for bloggers and small business owners. But is it also a viable option for eCommerce entrepreneurs? That’s what I’m going to find out in my in-depth Wix review & guide. 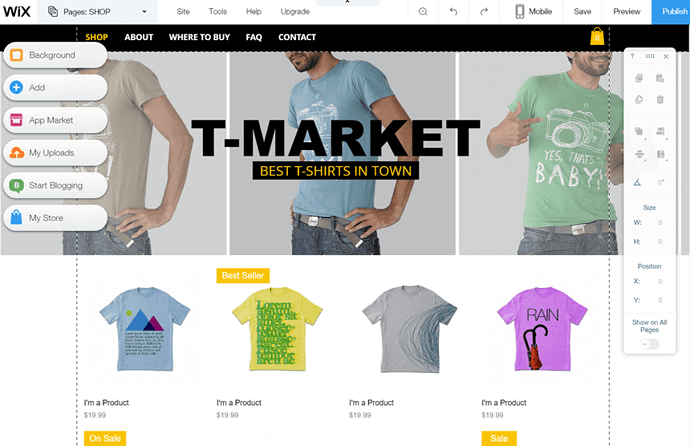 Before we dive into testing its eCommerce potential, let me quickly introduce Wix, especially to those who never heard about it or are not sure how it works. Later on, I will discuss its eCommerce features and provide you with a step-by-step guide on setting up a simple online store. Finally, in the last part, I will summarise my thoughts in a list of Wix’s advantages and disadvantages. 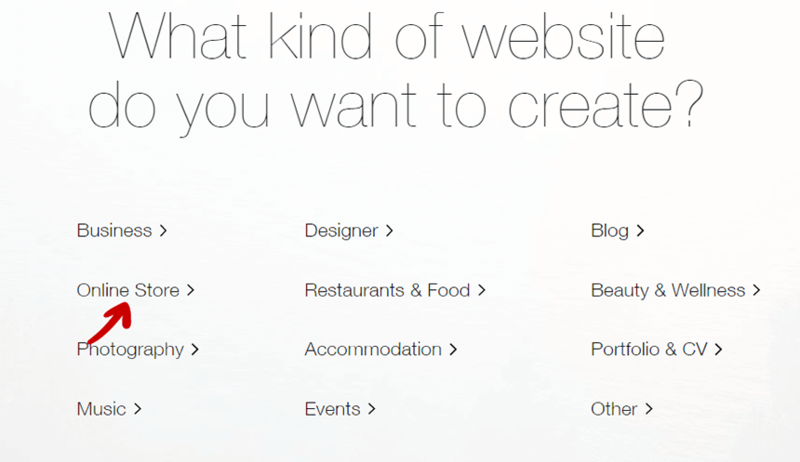 To put it in a nutshell, Wix is a platform which you can use to build and host your own website. If you are just starting out, it’s a perfect pick to set up your first site because you don’t have to worry about anything. There is no coding or configuring the hosting involved. 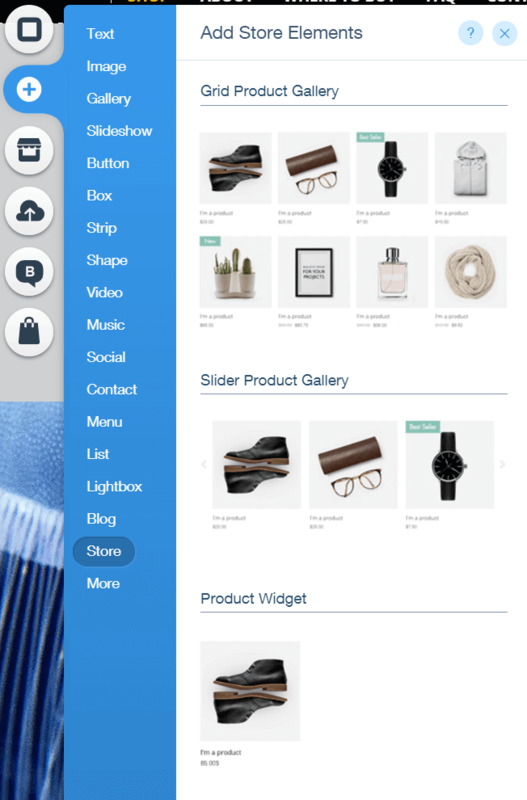 At the same time, there are many excellent customisation options, which means you can build anything from a simple About Me site to a full-blown online business of nearly all shapes and sizes. Including eCommerce – and that’s what interests us the most. Is Wix exclusively for eCommerce? 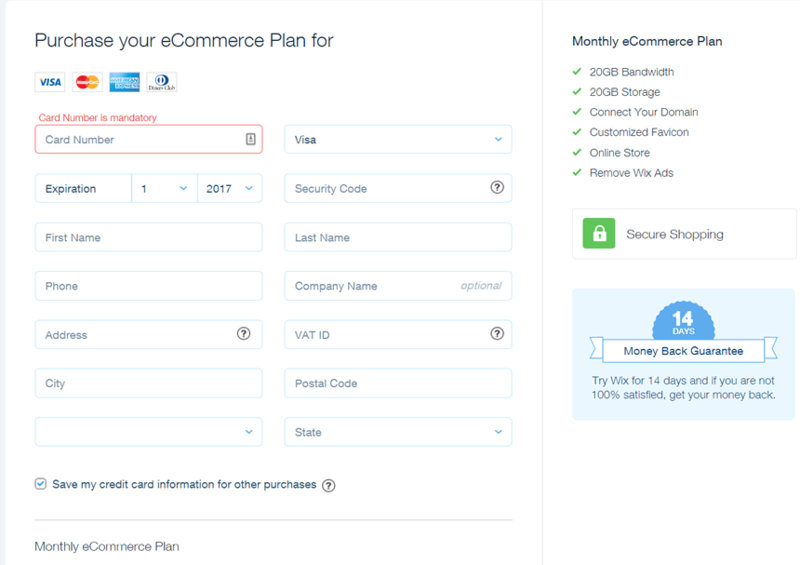 But, the fact that you have to look around for the eCommerce option won’t surprise anyone who knows Wix. Why? Their main target group was never the eCommerce entrepreneurs. 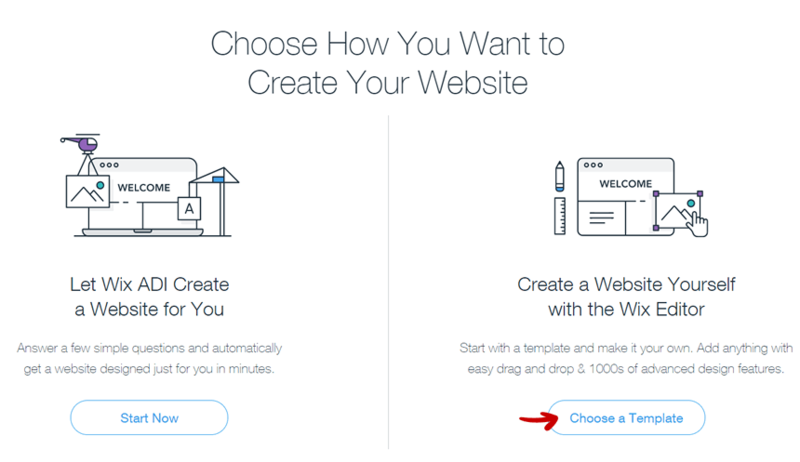 Most people choose Wix because it’s an intuitive and newbie-friendly platform. To set up their website, Wix users don’t have to code and can just drag and drop everything thanks to one of the best drag-and-drop builders out there. 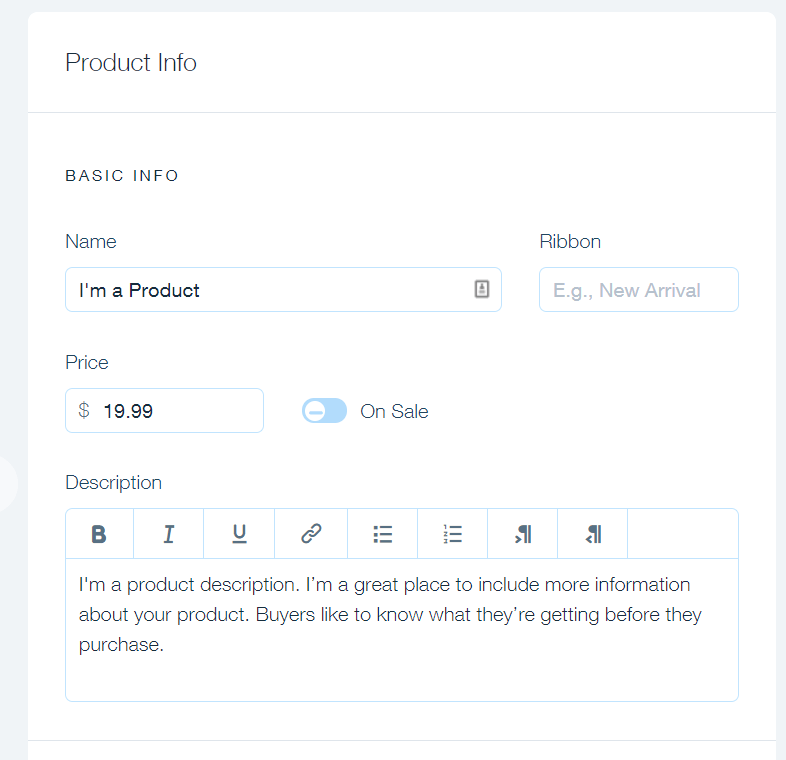 Of course, you can use the very same builder to set up your online store! Every Wix account includes a hosting package. Note that because of the uniqueness of their CMS (content management system), once you set up a website using their platform, you can’t migrate anywhere else. Any migration would require recreating the store from scratch. On the other hand, if you host your store with Wix, you don’t have to worry about anything. Of course, they’ll charge you for that. This can make the starting cost pretty steep compared to other platforms. What’s the difference between the two packages? The eCommerce plan comes with just 20GB per month, what can quickly dry out, especially as you scale. Luckily, the VIP plan allows you to drive unlimited traffic to your site and comes with other great perks such as VIP support and a professional site review. Considering how many other customers the platform has, a premium support will definitely come in handy. 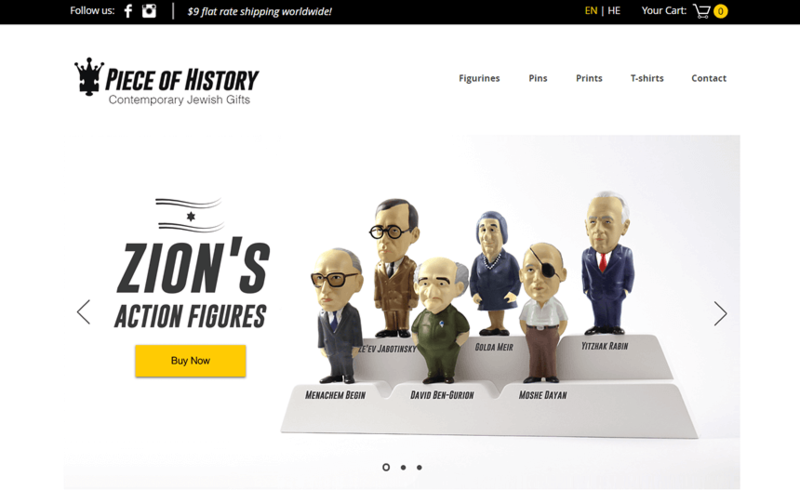 But, even though the starting cost might be higher compared to other platforms, there’s one huge advantage to using Wix – no commissions on sold items . You pay them their monthly fee and they don’t care whether you sell one or 10,000 items. The price stays the same. 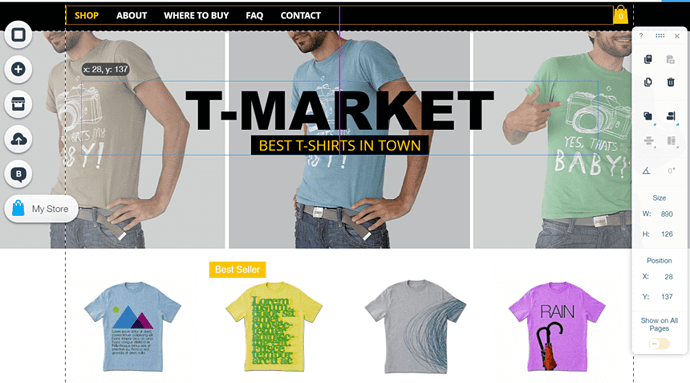 Does Wix offer a free trial? Sadly, the biggest Wix drawback related to its pricing is the fact that there is no free trial. At least not a classic one. There are two things which you can try. The first one is a free account, which you can use indefinitely, but which comes with a highly reduced number of features (and there’s no online store). 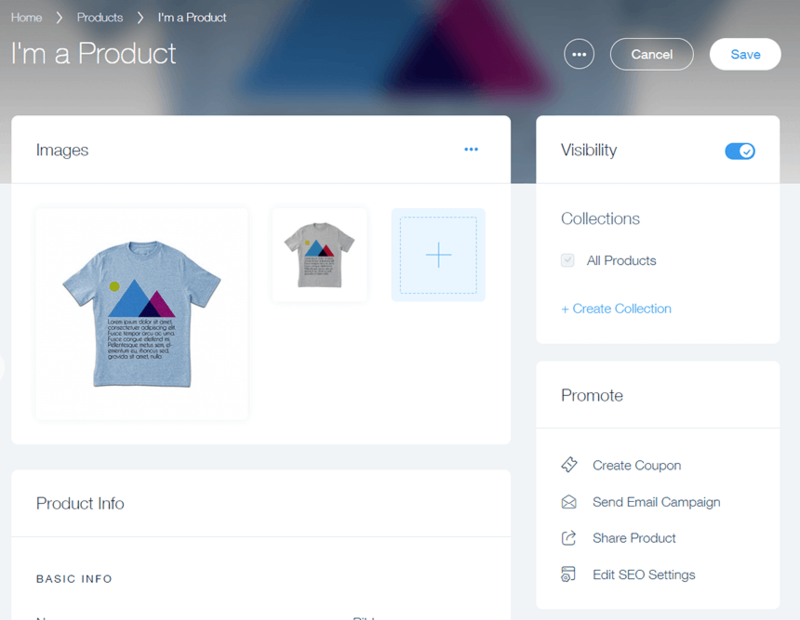 To enjoy everything that Wix has to offer, including its eCommerce features, you have to invest some money up front. But, there’s a catch. Only your first purchase can be refunded. This means that if you upgrade for the second time, you have only 14 days starting with the initial upgrade date to cancel. After that, you can’t ask for your money back. Also, any upgrades such as domain names, mailboxes or app market purchases are not included in their refund policy. Considering their target market consists of people who have little technical skills and just want to focus on building their business, Wix had to offer them a great support. Otherwise, a big chunk of its customer base would move elsewhere. There are three ways in which you can look for help and a few “extra” things that might help you, but won’t be your first choice in case of an emergency. This is where you should go in the first place. There are hundreds of topics organized into categories such as Billing , Domains , or Wix Stores followed by many other. You can browse them manually or use a very convenient internal search engine. Just type your keyword and get the answer to your question immediately. It will also provide you with suggestions as you type, helping you nail the right answer even faster. 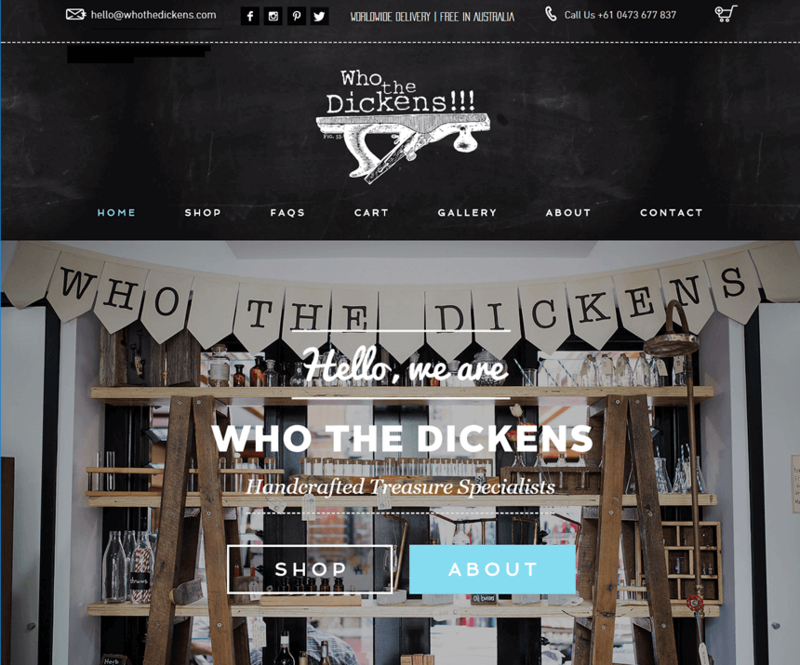 The second place where you can look for information on running a Wix website or store is their blog. 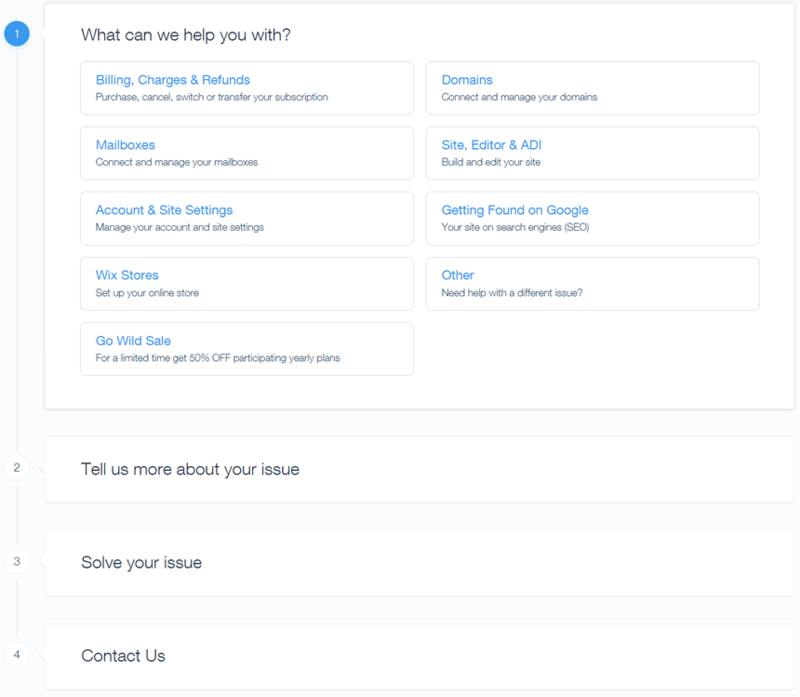 The posts include a lot of great tips which you can use to solve some of the technical problems or adjust your marketing or eCommerce strategy. The blog is split into six main categories with a few of them having additional sub-categories. As an online entrepreneur, you will spend most of your time reading content in the Small Business Tips and eCommerce ones. The first one covers a wide variety of topics including productivity, marketing (both strategy and educational articles) as well as tips on building websites for specific types of businesses. 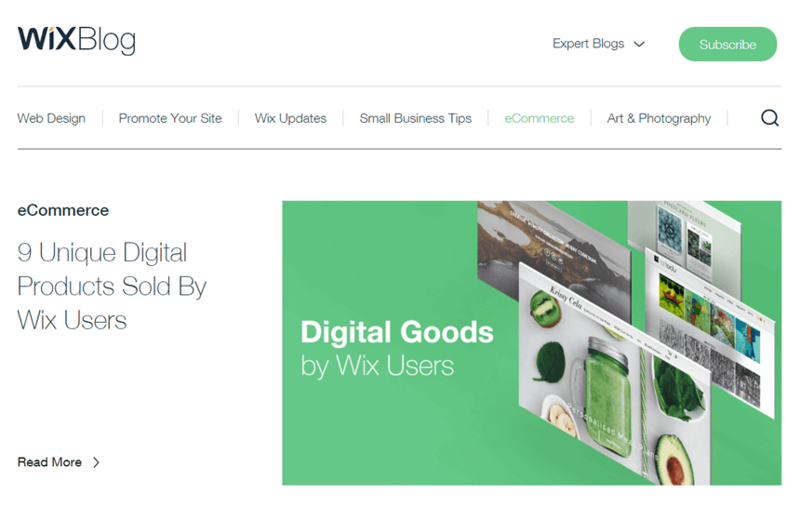 Because Wix customer base is made of a variety of business owners, some of the articles won’t apply to your online store. Luckily, the second mentioned category – eCommerce – is all about businesses just like yours. The only drawback is that it’s not updated that often, and has just a few posts in it. Not all solutions are available on their website. Some problems apply to your particular situation only. In this case, it’s a wise thing to contact their support. There are two ways in which you can do that – by submitting a ticket and getting an answer via email or by requesting a call back from their call centre. Unfortunately, while they offer a 24/7 email support, their call centre is open Monday – Thursday 6 A.M. – 5 P.M. PST only. Also, submitting a ticket is not that easy. To do that, you need to go to the Wix contact page, scroll through the most common issues listed there, and then choose to submit a ticket. The next section of Wix website that might provide you with some help in running your business is “Wix Stories”. While it’s not designed to help you solve your problems directly, it can provide you with some inspiration and guidance. Sadly, there are not many stories that come from entrepreneurs involved exclusively in eCommerce – the only ones I’ve found come from local businesses that made eCommerce one of their distribution channels. Moreover, the stories are usually short, covering only one or two critical aspects of online presence. 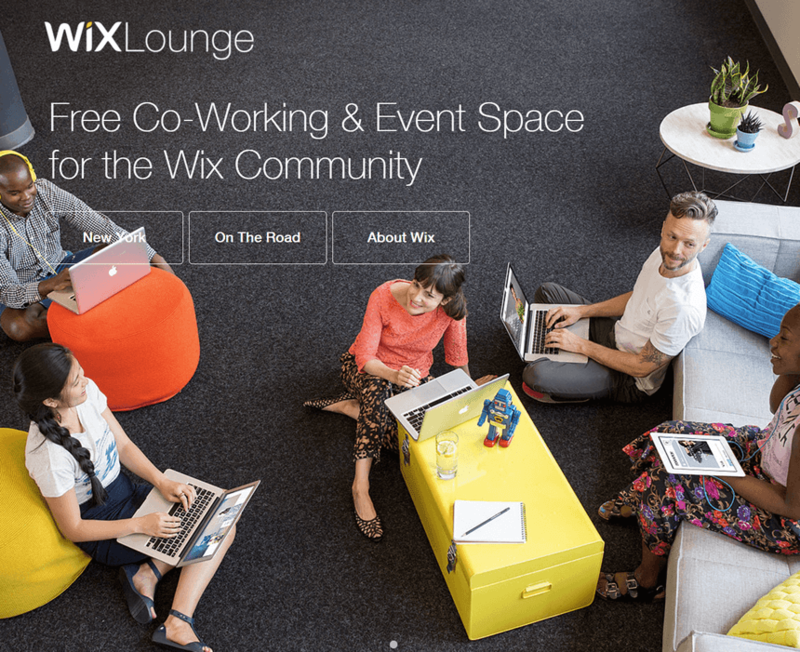 If you live in New York and are thinking of setting up your own eCommerce store using Wix, you’ll love their free co-working and event space – WixLounge. It’s free for Wix customers, and its only drawback is the fact that you’d have to live in New York to visit it. But, if you happen to be there, working with other aspiring entrepreneurs using the same platform who might have similar goals is an excellent way of brainstorming new ideas and learning. And what if you are not from NY or even from the US? From time to time, Wix holds workshops and other events all around the world, including London or Manchester. While it’s not the same as a co-working space, every event is attended by entrepreneurs who use Wix. It’s an excellent chance to network and get some inspiration. If you have the budget but don’t have the time to learn everything and design everything from scratch yourself, you can hire an experienced Wix designer to do that for you. 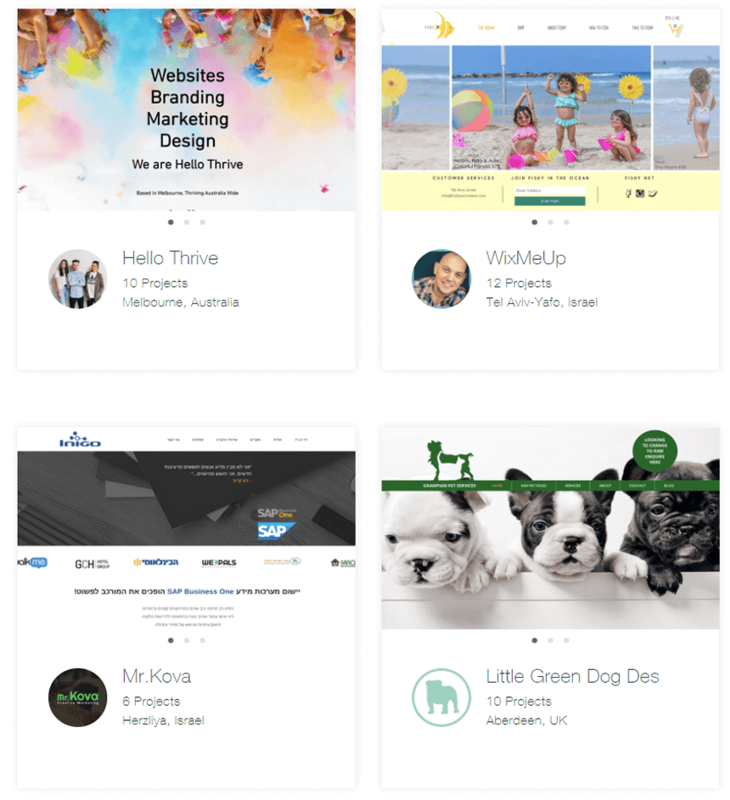 Thanks to Wix Arena, you can find all of the best professionals in one place – no need to search online on other freelance platforms or sift through tens of random applications. You can view the portfolio and sample Wix-based work of any designer you want and contact them directly. Are there any tools to help me run my business? 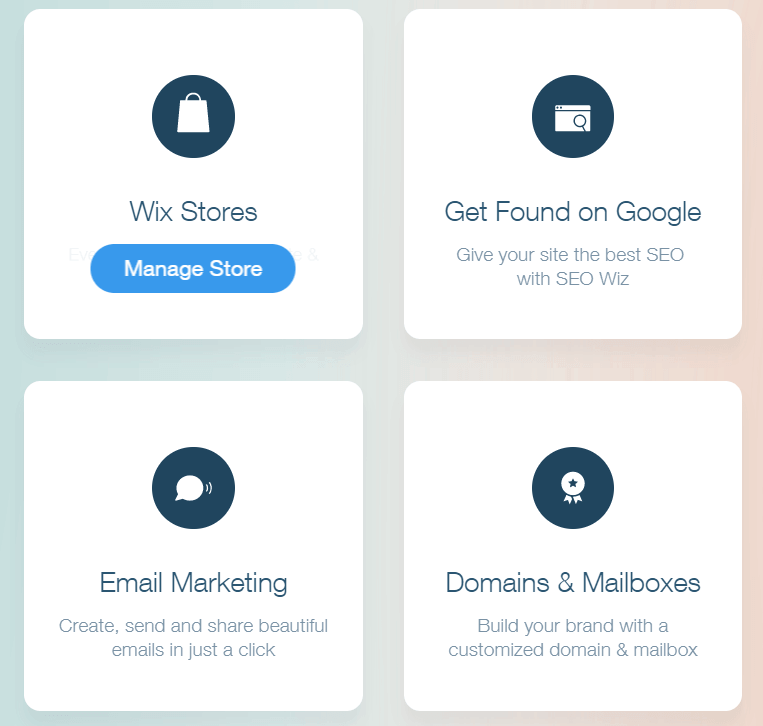 Wix is a platform dedicated to small business owners. Because of that, they have a tremendous number of features aimed at those who need a professional online presence for their business. But are these features useful for eCommerce entrepreneurs? Absolutely. The platform gives you access to tens of tools that can help you get control over every aspect of your online website. 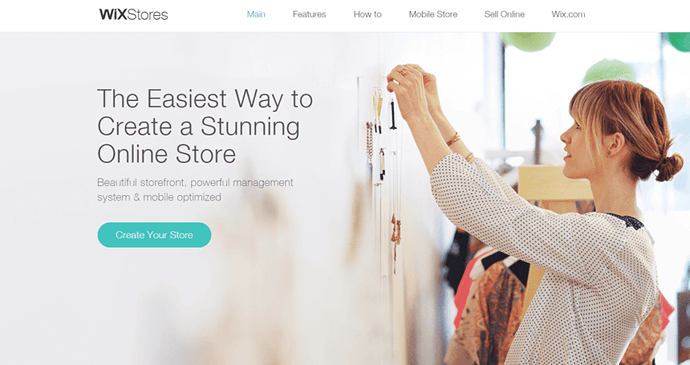 From SEO tools to plugins (called add-ons) which you can add to your site, such as customer reviews, live chat, social media add-ons and even… an easy way to add a Shopify store to your website. Of course, if you want to run a full-blown store on Wix, it’s probably better to stick to WixStores . On the other hand, why would Wix allow integration with one of its biggest competitors, if it has its own online store system? In my opinion, this only proves that eCommerce is not their primary focus. 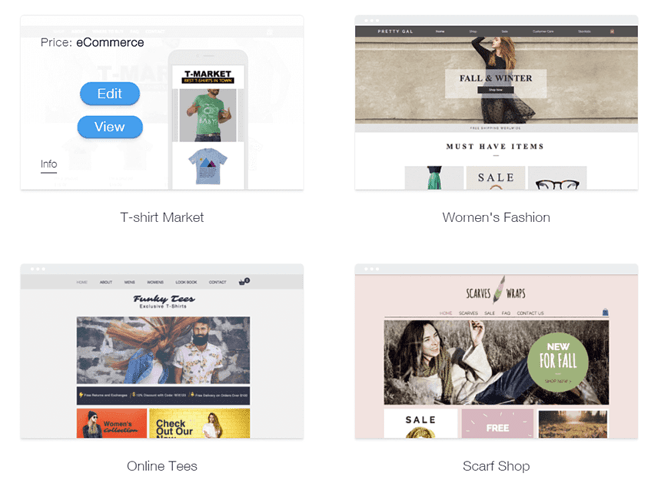 Is Wix safe for eCommerce? As a business-oriented web hosting platform (because, in the end, one of the main Wix services is hosting), they are obliged by law to provide certain security measures for every customer. 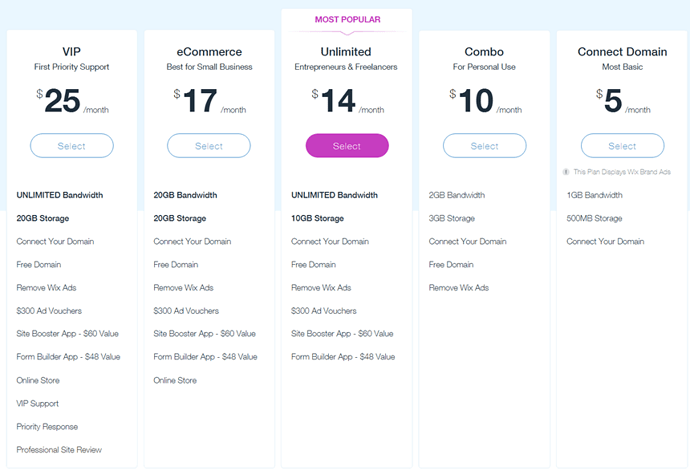 But, considering the nature of eCommerce business (credit card processing, personal data storage), those requirements are a bit higher when you run an online store, compared to owning a static website with no forms on it. PCI Compliance – Wix is compliant with the Payment Card Industry Data Security Standards. This means that the environment in which cardholder data is processed is secured, and the risk of credit fraud is highly reduced. ISO Compliance – the platform is also certified as ISO 27001 and ISO 27018 compliant. These mean that they follow industry best practices for managing security risks and handling of personally identifiable information (PII). TLS Certification – the platform utilises Transport Layer Security (TLS), which encrypts the data and helps protect online financial transactions of your customers. While this might not sound like much, the company is compliant with all of the industry security standards. As a big enterprise, Wix has a full-time security team at your service. They also perform frequent scans looking for potential vulnerabilities and educate business owners on the safe Internet use. This includes alerting them of potential phishing attempts or other issues targeting Wix users. Do I need coding skills or anything like that to set up a Wix store? Although I talked about this a few times throughout the article, I decided to add this point anyway – for all those who might be just skimming the article. If you just stopped scrolling and would like to find out whether Wix is a good pick for beginners, the answer is yes. 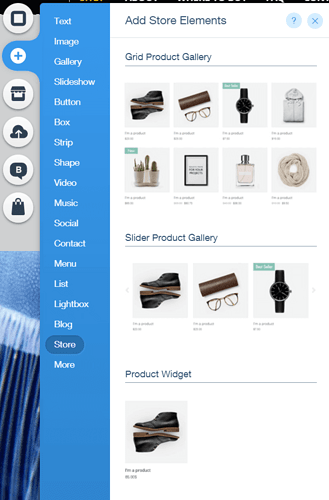 Moreover, even though the platform is suitable for running a big online store, it boasts with great user experience and very easy setup. Of course, if you are completely new to this stuff, there will always be a slight learning curve – but when it comes to Wix, it shouldn’t take too long for you to understand how the platform works. Of course, there are many other stores. But the biggest problem I had with Wix is the fact that the vast majority of stores I’ve found sell handmade products. Of course, you may also be looking to sell your handmade products. In this case, that’s great, as you might find some inspiration. Nevertheless, I was unable to find a store that would be selling high-ticket items, what I consider a big disappointment. In this section, I will take a closer look into the functioning of the platform itself. 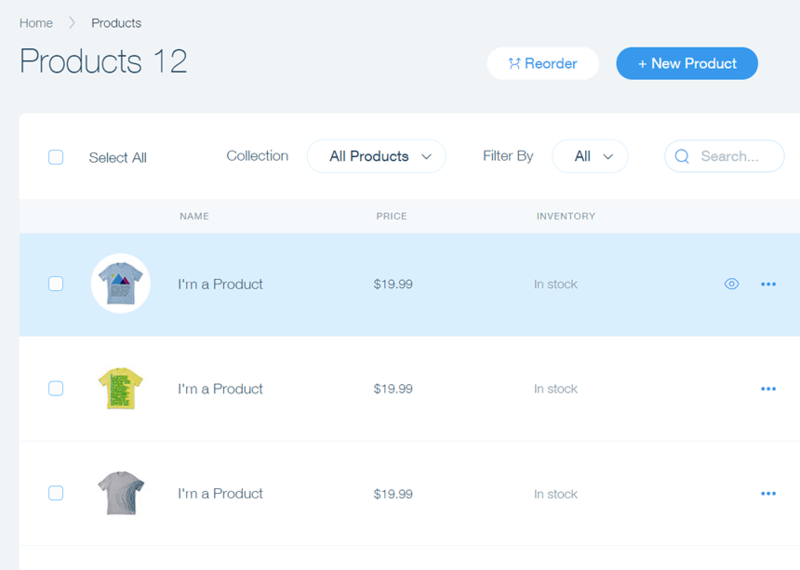 You’ll see how to set up an account, and manage your store. The focus will be on beginners – that’s why I will create a new account and treat it as a trial. You should do the same – if it works out for you, then you just keep the account. And if it won’t – you can always ask for a refund. When you make a pick, Wix will ask you whether you want to create the store yourself (starting from a template) or let Wix ADI (Artificial Design Intelligence) create it for you. While ADI sounds like a great feature, I believe it’s better to do everything yourself from scratch or pay a real designer to do that. If you do it yourself, you get to check every step of building the site and can be sure that everything is set up properly. Let’s leave the edits for later. 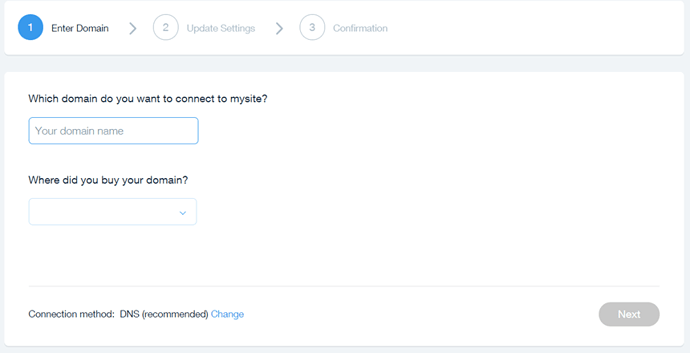 Hit Save in the top right corner and finish the account registration. You will be asked to pick the domain for the page. You can choose to go with the free one, created on the wixsite.com domain, or you can connect the one you own. 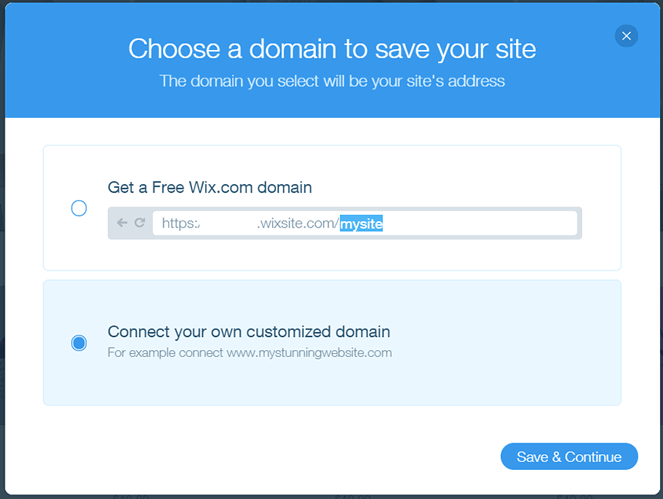 How to connect a domain to your Wix store? 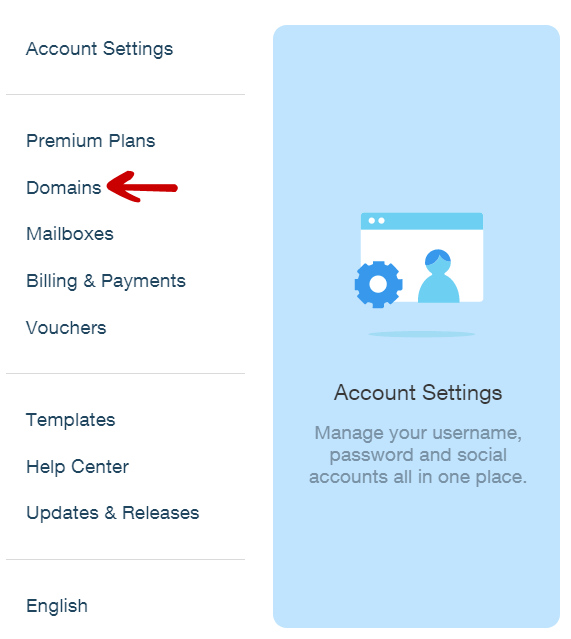 If you picked one of the listed providers, you might get instructions how to change your domain settings at your registrar’s site. If you choose Other , you will be provided with the name servers only. In this case, if you don’t know what to do, contact your domain registrar for help. The switch might take up to 48 hours, but most of the time the name servers are ready to use much faster (even in less than an hour). 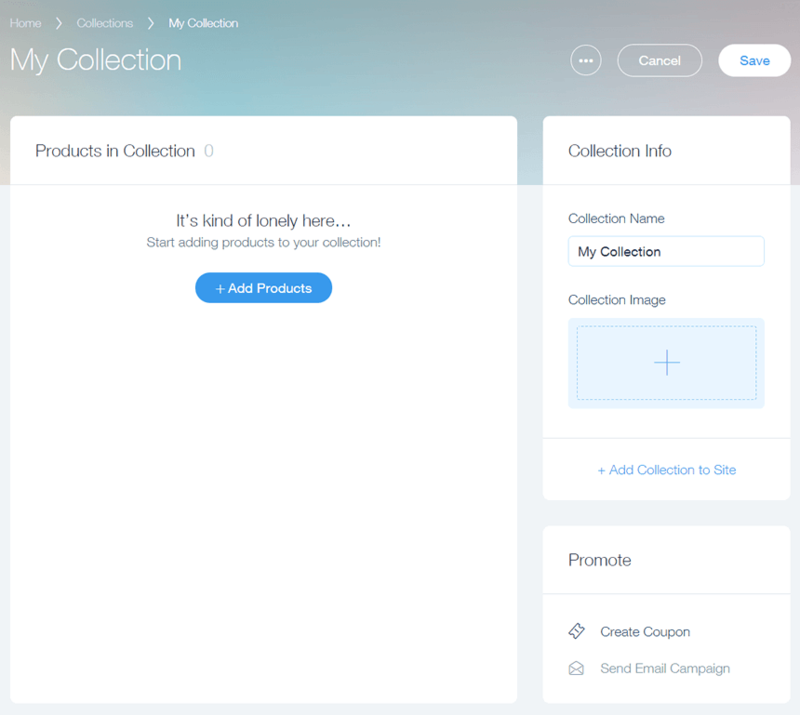 Now that the account is ready and the domain is connected, it’s time to play with the store. Of course, to see it live, we would have to publish it – but I recommend leaving that until you have at least some of the work done. 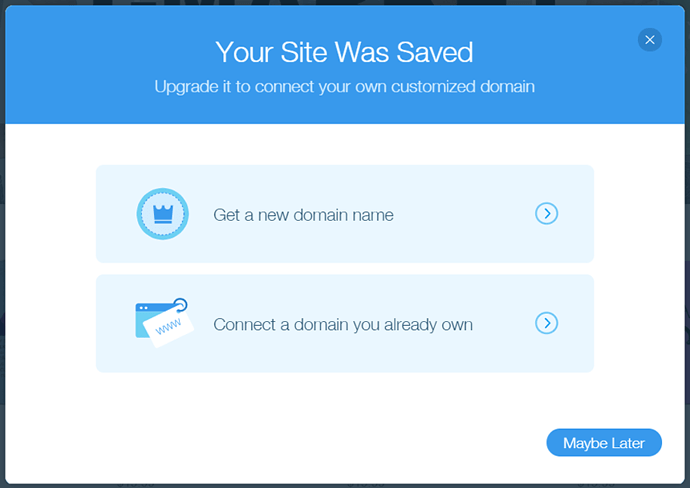 Note that the site has to be live to be visible after you type your domain name in the web browser. How to add and manage products in Wix? Once you learn where everything is in both of these menus, editing and creating new pages will be a smooth process. 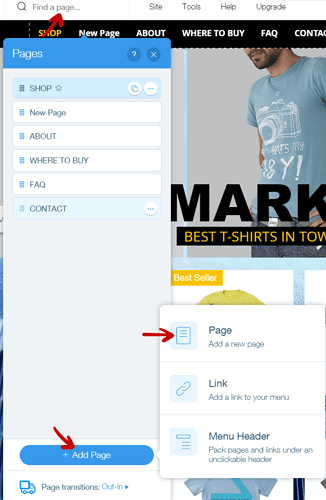 And speaking of new pages – let’s take a look at how you can create a new one. When you finish, hit Save. 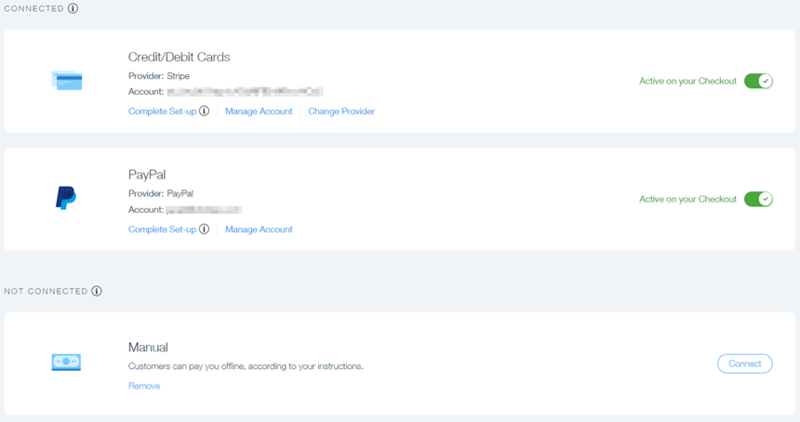 How to manage payments and view orders in Wix? Why should you set personalised mailboxes? The first and critical reason is trust. You could use Gmail or any other provider to contact your customers. But when they see an email from name@yourdomain.com or sales@yourdomain.com they will trust you a lot more. And, if you already use Gmail, everything will look familiar – the mailbox will be set with G Suite. 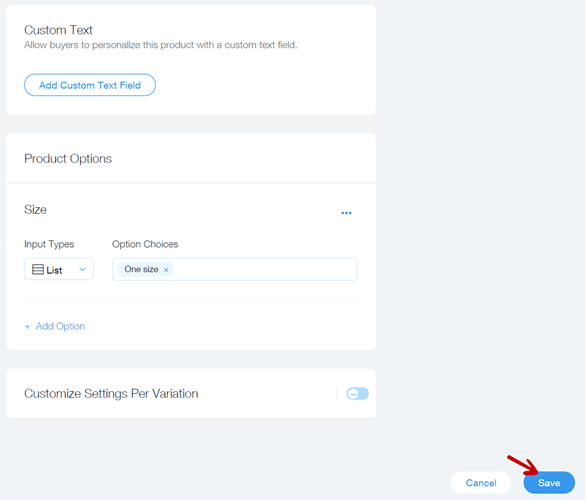 Of course, these are not the only settings which you should look into. Don’t forget to add a favicon, edit language settings or connect social media accounts – but I simply cannot go over all of them here. Hooray! 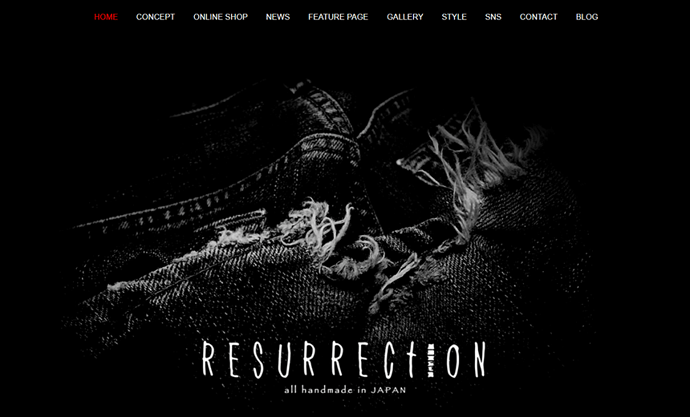 Your store is live. So, is Wix worth it? Let’s jump straight to a summary. 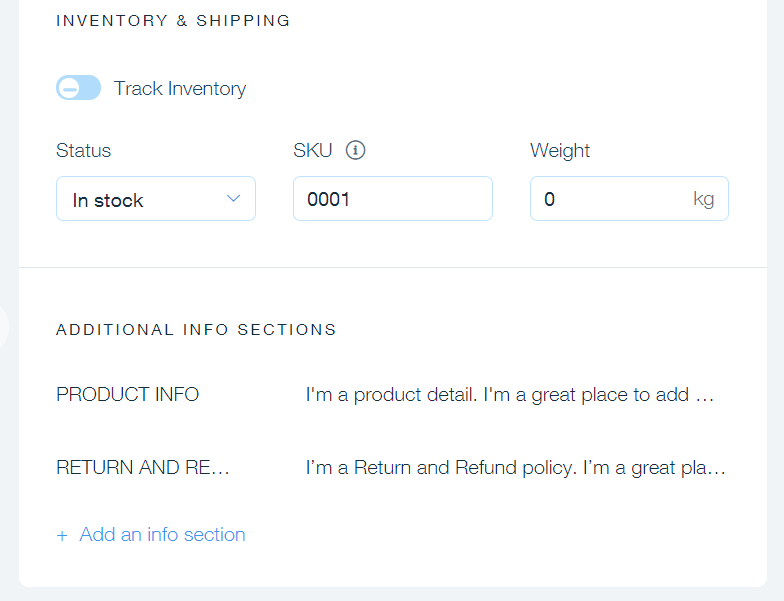 After introducing you to WixStores and showing you the basics of managing the platform, it’s time to review the most important aspects included in my review & guide once again. What are the Pros of Wix? It’s super easy to use: this platform truly is created with beginners in mind. There are many drag-and-drop builders out there, but Wix’s one is probably the most intuitive and easiest one I have ever worked with. You really can set a store without writing a single line of code. Moreover, all of the options are categorised and presented in a way that’s not overwhelming and easy to comprehend even for a complete newcomer. There are no fees on your sales: This is a big one. Unlike many other competitors, Wix doesn’t take a cut from your hard-earned money. Of course, that doesn’t mean the payment processors such as PayPal won’t. But you can save a lot once you scale. Lots of apps: thanks to the App Market, you can add a lot of great tools to your store, which in turn can help you build your business, attract new customers or enhance user experience. Great community & a free workspace: Sadly, there is no strong eCommerce community around Wix, and the workspace is available only for those who are in New York. Nevertheless, it’s a plus. 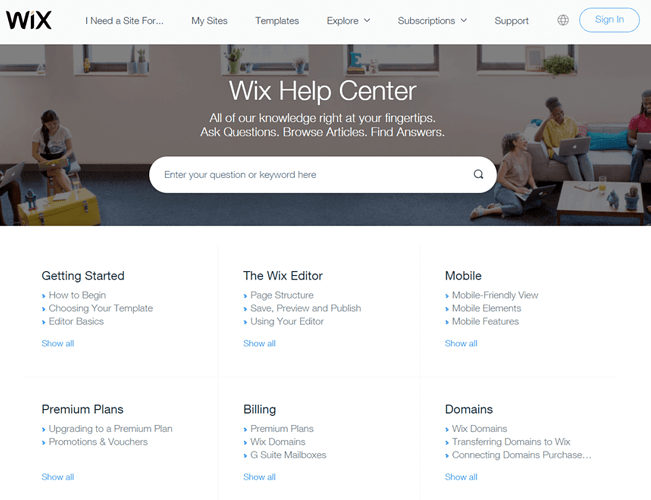 What are the Cons of Wix? Its main focus is not eCommerce and you can feel it: the main target market of Wix are small local businesses run by people who have no idea about all this Internet stuff and just want simple, all in one solution. 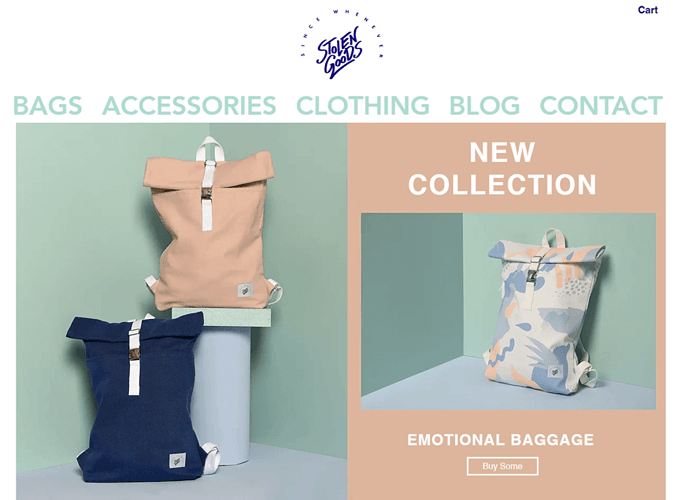 It seems like Wix just wanted to jump on the eCommerce train with their platform. And while it’s solid, professional marketers might be disappointed. 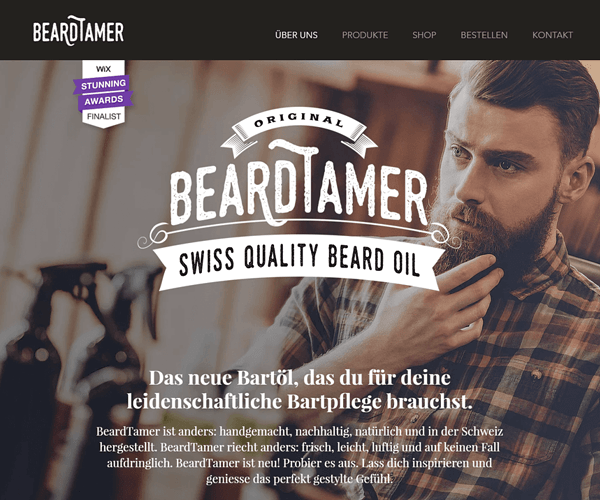 High start-up costs: because Wix is mainly targeted at smaller businesses, it’s eCommerce features are available only in the two most expensive plans and there is no real trial period (you have to pay upfront and then ask for a refund – but the good thing is, they tell you how to do that). Once you build a Wix store, it’s expensive to leave the platform: lack of coding comes at a very high cost. If you ever decide to leave the platform, you can’t just copy your files to a new server. Because of that, migration costs can turn into thousands, especially once you grow your store to hundreds of products. The platform lacks freedom: Because Wix keeps guiding you all the time, there is very little freedom and customisation. 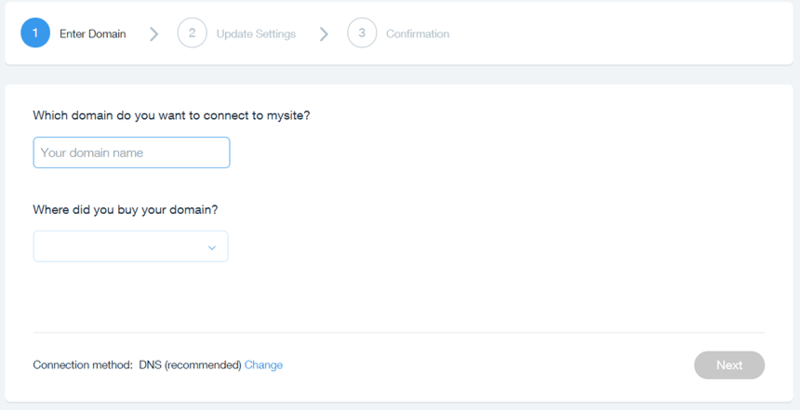 Of course, there are apps and you can change settings of site elements. But it’s still very far from what other platforms offer. It’s not that easy to contact them: While their help centre is great, it took me some time to figure out how to actually contact their staff. Not to mention one has to jump through a few hoops to do that. To sum it up, I believe that Wix is an interesting alternative to some of its more eCommerce-oriented competitors. If you already have a Wix account and know the ins and outs of the platform, I would say go for it – at least for a test. On the other hand, if you know nothing about it, there are better options which you could try.